I don’t know about you, but I would think that she’s being very rude and disrespectful. Why does she think that she has the right to talk down to him like that? See the irony? Why is there such a big difference in how we treat others compared to how we treat our children? The following methods may be surprising to some parents, but the fact is that we cannot teach respect by being disrespectful to our children. Here are 6 things you can do to get respect from your child. The other day, my daughter was eating cookies and she wanted to go into my room. Crumbs came out of her mouth as she took every bite. I told her not to go into my room with the cookies. I repeated that request at every step she took on the 14-step staircase. I said it one more time when she was at my door. She ignored it and entered my room with cookies in her hands and crumbs on my floor. She looked at me, turned around and left my room. That yelling, and only yelling, works with kids who don’t listen, right? She didn’t listen to me because she couldn’t listen to me. I was not in front of her, making eye contact and ensuring she was paying attention to what I said. Instead, I just sat at my desk and shouted my command, while she was fully immersed in tasting the yummy cookies. Any leftover focus was spent on making sure she didn’t fall down the stairs. She simply couldn’t pay any attention to me until she entered the room and saw me. However, from my perspective, I thought she heard everything I said but ignored me. I thought she was purposely disrespecting me and my request. So I was angry. My emotion took over. Instead of looking into why she acted that way, I yelled at her. I was being disrespectful to her. I was shouting to her from another room not caring whether I was interrupting what she was doing or not. And when she didn’t meet my expectation, I acted rude towards her. I showed her that I only cared about my own needs. I showed her that when you were frustrated, you could be rude and disrespectful. That was definitely the wrong message. I was not being a good role model in having empathy, respect and self-control. 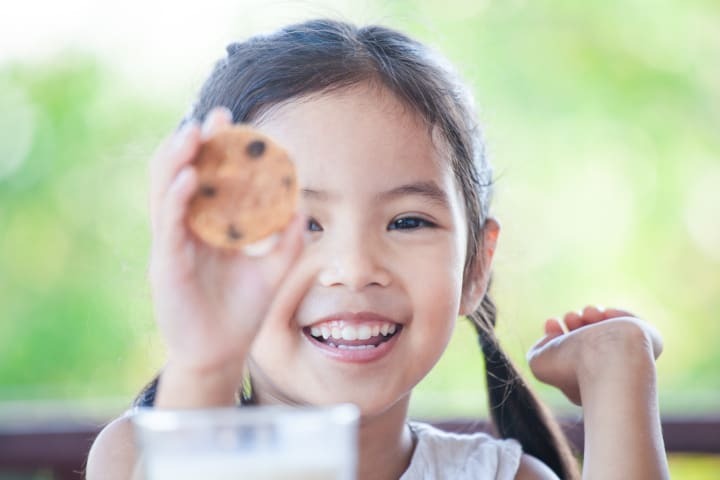 Granted, there are often situations where kids really do outrageous or disrespectful things, but it could be because they don’t know any better at that age or they miss the cue. That’s where we, the parents, come in to teach them. But how can we teach children to be respectful using disrespectful manner? To teach respect, first we need to stay calm and stay in control. Identify if this is a real “disrespect” situation, a misunderstanding or simply because the child hasn’t learned the proper response in such a situation. Ask your child why they act that way. Last weekend, my almost 4.5 year-old finally achieved a major “milestone”. She called me a bad mom. She had never called me that before as we had never called her a bad girl. So she didn’t learn to say that until she heard her friends say it recently. These parents are upset. They are called names and they are hurt. But what is the child’s intention when she says that? Kids usually say that because they are angry. Someone, and it’s usually you, hurt them. So, out of instinct, they want to hurt you back. It is usually not malicious because kids (and grownups) cannot think straight when they are angry. They just reflexively want to fight back to protect themselves and in this case, they use hurtful words to do so. I asked my daughter, “Why did you say that? Was it because you were angry?” She nodded. “Were you angry because I didn’t let you have <X>?” She nodded again. I nodded sympathetically, too. With my acknowledgement, I could see her seething anger start to dissipate. “Well, I understand you are upset. But that doesn’t mean I am a bad mom. If other kids are mad at you for something you have done, does it make you a bad girl?” She shook her head determinedly. “OK, then you are not a bad girl because other people are upset. So I am not a bad mom because you are angry, right?” She nodded slowly like she was trying to absorb my words. At that point, I went on to address her needs. She was angry because her needs were not met. I asked her to think of other ways to get what she needed instead of calling me names. I explained to her that hurting others that way doesn’t help reduce her anger or solve her problem. By naming and narrating my child’s emotions, I helped her understand where her anger came from, taught her vocabularies to describe her emotions and gave her tools to solve problems. I also showed her that in conflict situations, you could still stay clam, keep a clear head and respond respectfully. Disagreement can take place without being disrespectful. Isn’t this much better than screaming, “How dare you!” which only addresses the parent’s own needs to feel respected? 3. Show Them How It Is Done – Respect Your Kids! What better way to teach a behavior than modeling the behavior you want to teach? Show them how to respect by respecting them. I don’t mean calling them sir or madam, or bowing to them. Just treat your child as a person in the same way you treat other grownups. For example, respect their preferences. I’ve heard a father yell at his son for eating the inside of a pie first before the crust because that was the wrong way to eat a pie. True story. It is ridiculous how some parents want to have complete control over their child’s behavior and preferences. Most of us are not this extreme but we still do some variations of preference policing. But if you want your child to respect you, start with respecting their choices. Everyone has their own preferences. As much as I want my little one to be a mini-me and like exactly the same things I do, she is not. My child has her own liking. If I don’t like what she wants, I will explain my rationale. But ultimately, she has to learn to make decisions for herself. As long as her choice is not a danger to safety or health, is not (too) financially consuming and does not hurt others, I honor it. That is why I let her make her own choices in things such as her own outfits. 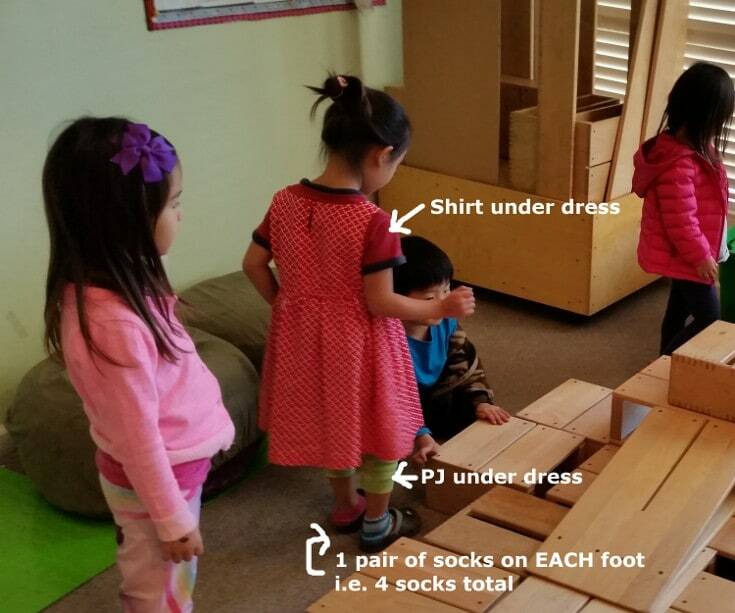 She often ends up going to her preschool wearing mismatched socks, pajamas under dresses, a shirt under/over a dress, etc. Every person has the right to think independently and like different things. That should include children. When children’s differences are accepted, they feel heard and respected. They see first-hand how to treat others who have different opinions. They learn that they should respect people despite their differences. This understanding and tolerance for differences will become especially important when the teenage years come. That’s when everything Mom and Dad say will sound stupid to them and you want your child to know how to tolerate and still respect you! Discipline means to teach or to train, not to punish. It doesn’t have to be punitive. In fact, studies have shown that positive discipline is a lot more effective and longer lasting than punitive strategies. If we discipline using a menacing or stern tone when our kids have done something wrong, we are showing them how to be cruel and harsh to those who make mistakes. Imagine if you make a silly mistake at work and the boss talks down to you in a demeaning way. That must feel really lousy, right? Would any of us therefore have more respect for this boss? No, right? The same with children, being harsh or using punitive punishment will not earn us respect. But positive discipline is not the same as being “soft” or permissive. One can be firm and kind at the same time when disciplining. Setting firm boundaries and sticking to them are the keys to successful discipline. Parenting is one of the hardest jobs in the world. Parents spend so much effort, time and money to care for their little ones. Their entire lives changed and started to revolve around their children the moment they were born. It is only natural that we expect their respect. But little children don’t understand all this. And to be fair, they didn’t ask us to do all this! We ourselves decided to take on these responsibilities. If we don’t respect them but at the same time expect them to respect us, that is just hypocritical. Think about a chain smoker telling his child not to smoke. How effective is that?! Respect cannot be demanded. It can only be earned. So, earn it! Give your child real reasons to respect you by being a good role model, modeling good behavior such as being respectful to everyone, including our children. Not that I’m saying I’m never harsh to my child. As mentioned, I do sometimes shout when I’m at my wit’s end. So I get it. I understand the occasional outbursts in the heat of the moment, especially when we’re dead tired doing all sorts of grownup stuff, like working, housekeeping, and what else, parenting. Despite that, I will never use it as the default way to treat my child, nor will I justify doing so is OK or necessary. When I did lose it, I would give myself a time-out to calm down. Afterwards, I explained to her why I was so upset before. I taught her that having emotions was normal, but shouting was not OK. I felt guilty and I said sorry to her. A mature, respectful grownup accepts responsibility and apologizes when he or she makes mistakes. Apologizing to your child does not undermine your authority as a parent. On the contrary, you are reinforcing your authority and credibility. You are demonstrating integrity and building trust with your child. Treating children disrespectfully will just make them lose their respect for us (think about the mean boss example above). If you’re lucky and your kids are not the stubborn type, you may get temporary compliance out of them, which may seem like respect. Years later, when they’re all grown up, you may wonder why your kids don’t have respect for you anymore. They probably never did. They were only being compliant when they were kids. And you have modeled the disrespectful way well since their childhood. Admittedly, I sometimes wondered if I should just go the “easy” route to save myself some time and frustration after telling my daughter not to make a mess a gazillion times. But every time I was tempted to take such a shortcut, I reminded myself how I hated it when I was treated like that as a child and how it would only earn me disrespect. “Who says parenting is easy?” With this thought, I took a deep breath, recomposed myself and explained the gazillion-first time why it was not OK for her to do that. It is certainly not easy to do everything I listed. What really helps is understanding why we parent the way we do. Only when we self-reflect on ourselves can we model introspection to our children. 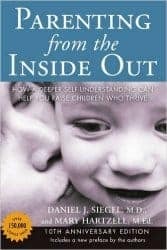 Here is the #1 book I recommend for any parents who want to improve their parenting. If you need more help (don’t we all! ), here are more parenting books on the topic of teaching children respect.